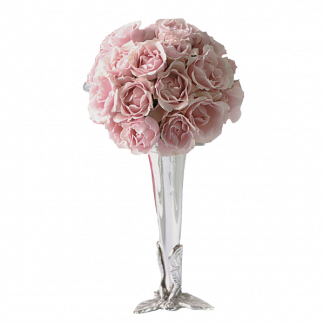 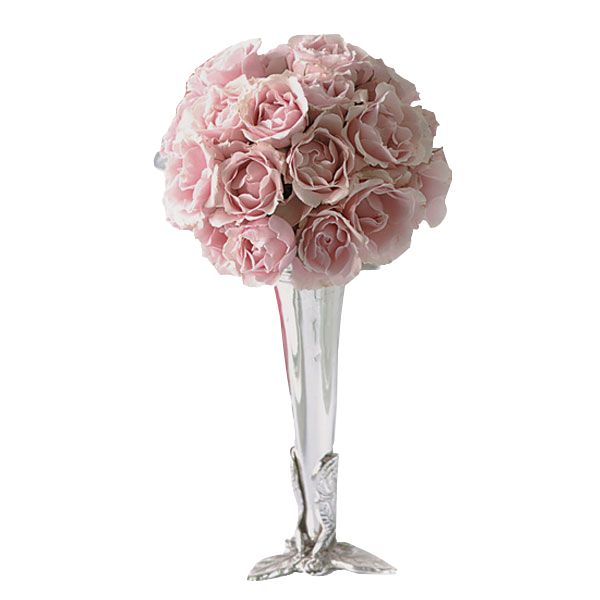 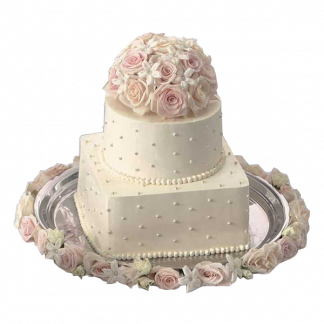 A dainty rondure of blush pink roses will paint any wedding table with class. 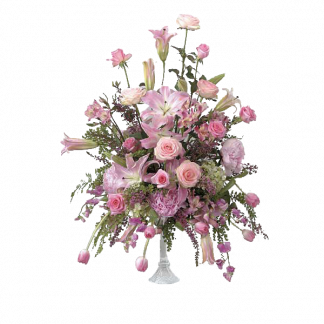 This beauty is held up by a clear thin vase situated on an ornate silver stand. 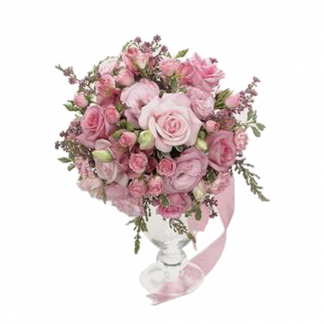 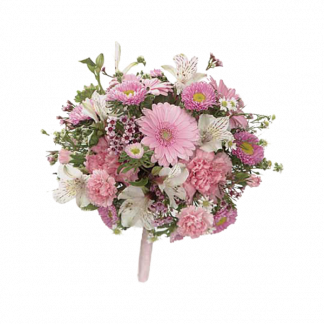 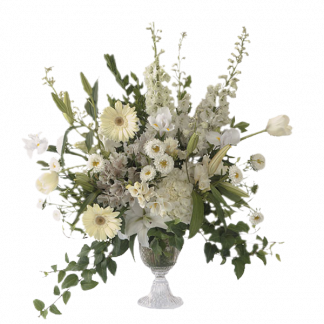 From rustic, classic, vintage to modern, posh, contemporary receptions, Blossoms of Love will surely shine.